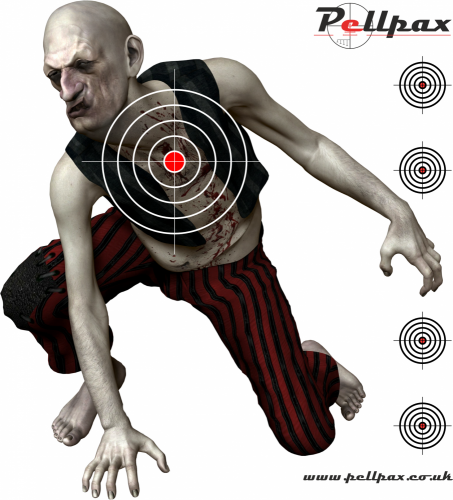 Our Zombie 17cm targets include 4 small zeroing targets and a Zombie character designed to provide a number of challenges, a large central 'kill zone' target but if you like a challenge then why not go for the much smaller head shot or try to disable the Zombie by going for a limb at a time (each limb provides a different difficulty level). Available in packs of 50, 100, and 200. (For larger ‘club’ packs please call for prices).